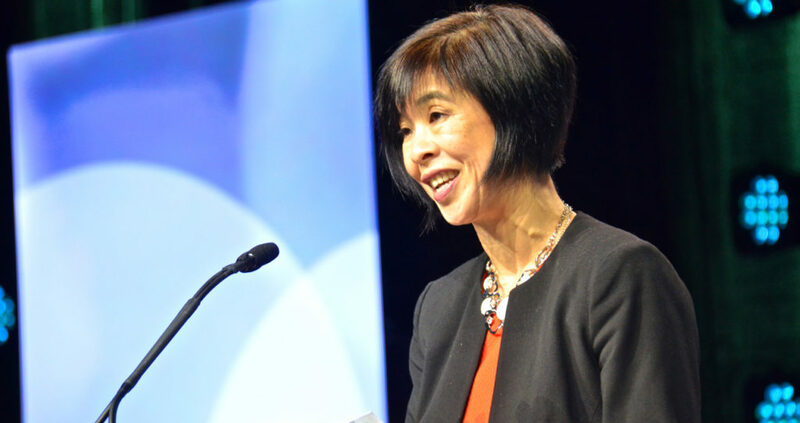 Anchored by the belief that YWCA Metro Vancouver‘s employees are everything to them, Michelle Sing, CPHR has spent the past 26 years elevating and executing the profession of HR. The past 22 of those years have been committed to YWCA Metro Vancouver, where she provides overarching HR leadership to the executive and 400+ employees spread over 58 locations. Sing was named the 2018 HR Professional of the Year at last year’s HR Conference + Tradeshow and is currently, VP of Human Resources, Volunteers, Communications & Crabtree Corner Community for the YWCA Metro Vancouver. 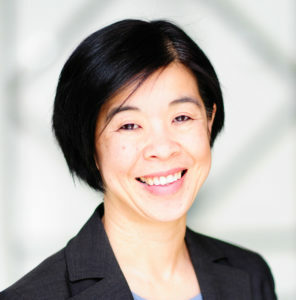 Peopletalk caught up with Sing to get her insights on the HR profession. What guided you towards your career in HR and what maintains your people first inspiration as a leader? I have always been interested in people and their behaviour—what inspires, motivates and engages them—and equally important to me is the link between people and business impacts. For example: how do you support employees, so that they can succeed in their roles and, as a result, contribute to the success of the organization? What is the ROI when investing in employees? How does a positive workplace environment impact recruitment and retention? These are all important questions, and we need to think not only in terms of recruitment costs, but also the cost of a new employee having to establish trust and relationships with clients again. Working at the YWCA continues to inspire me as a leader every day. I have the privilege of seeing how committed staff are to making a difference in the lives of our clients and their children. Their passion and commitment is what drives me to ensure that we, as leaders, are connected with our employees so we can better understand their needs and the challenges they face, ensure they have the necessary supports and nurture their connection to the mission and vision of the YWCA. What is the greatest opportunity for those seeking to emphasize the fullest value of the HR profession? We need to recognize that HR professionals can have a significantly positive influence on the business, workplace culture and employees coming to work every day. And in order for that to happen, we need to understand the business itself: strategic direction, business goals and, ultimately, who our stakeholders are. This will help to shape your workforce, both now and into the future. As HR professionals, we also have to be continuously curious about why employees are attracted to the organization—what engages and retains them and what challenges they face. We should never assume that we know what they need and once we know it, that it will never change. We need to understand how we can support managers and leaders so that they are effective in supporting their own employees, ensuring that relationships are built on trust, open communication and that employees clearly understand goals and performance expectations. All of this will allow us to develop HR strategies that are customized to the needs of organizations and employees. What do you see as the greatest challenge facing HR professionals at present? One of the immediate challenges HR professionals are facing is workforce planning. This includes challenges with recruitment, retention and retirement and meeting the needs of the younger generations. Locally there are many factors at play – high job vacancy rates in Vancouver, a disconnect between the skill sets of job seekers and the skills that employers need; boomers retiring and therefore businesses losing their knowledge and expertise; providing younger employees with meaningful leadership opportunities; and the housing affordability crisis. This is a particularly significant challenge, as it will impact their commute time and therefore how much time they spend with their families, or their decision to move away from the Lower Mainland. We have long recognized these at the YWCA, and thus have had a long-standing commitment to HR initiatives that support the work/life balance for our employees, as well as their professional and leadership development needs. Some of these initiatives include the ability to work remotely, flexible work arrangements and part time hours that are driven by the needs and requests of employees, workplace wellness initiatives, staff mentorship and coaching. We also try to be as creative as possible when it comes to job design—customizing positions based on employees’ strengths while giving them leadership opportunities to develop skills that they may not have had in a more traditional role. How does a positive workplace experience factor into the bigger picture for your organization? A positive workplace experience and strong organizational culture is vital. As a not-for-profit, we could not do the work we do in our community without our engaged employees. It is important that YWCA Metro Vancouver invests in our people to better help the women and children who are seeking our programs and services. You know you have a strong, positive workplace culture when employees have good things to say about the organization (influencers), when employees want to stay with the organization (high retention rate) and when employees strive to do their best work everyday (productivity). High staff retention gives us the ability to focus on serving our clients, instead of constantly training and recruiting. In turn, program participants are seeing our staff members engaged in our own programs and have positive feelings toward our organization. One of our most important influences of our workplace culture is modelled top-down from our senior management. When our people see that the senior management are making time for frontline staff, literally taking the broom and sweeping floors along with the rest of the team and putting organizational needs first, they are encouraged. And this is reflected in our retention numbers (88-95 per cent). The influencers in our organization are our own staff and our own senior management.